Fly direct from Gatwick to join this unforgettable small group tour – an incredible opportunity to experience Costa Rica’s amazing natural beauty. Stay in the heart of Tortuguero National Park on the jungle-clad banks of a glorious lagoon, explore the canopy of Monteverde’s majestic cloud forest, the see the brooding mass of the Arenal volcano, and encounter some the rarest and most colourful wildlife on the planet including hummingbirds, sloths, monkeys and caiman. Very early this morning, we’ll board the coach and head east, through the spectacular jungle landscapes of Braulio Carrillo National Park, towards the Caribbean. After an en-route stop for breakfast, you’ll arrive at the pier in Cano Blanco or Pavona, and board a canal boat for the last part of the journey, to the very edge of the Caribbean Sea. 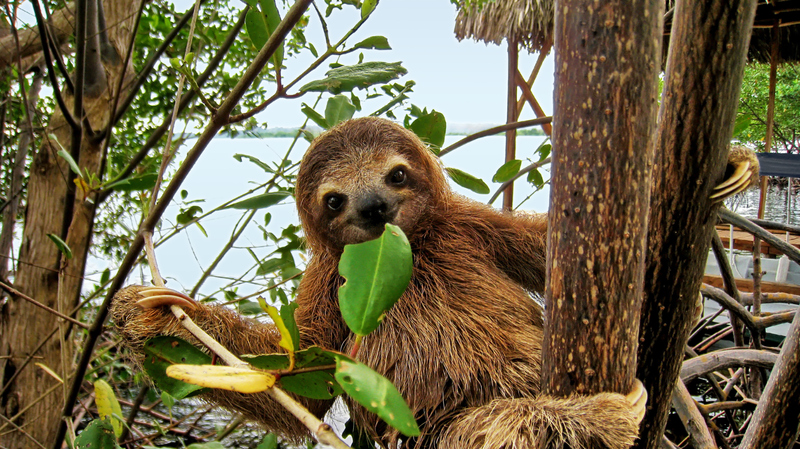 Early this morning you’ll have the chance to see the astonishing wildlife of Costa Rica come to life as a new day begins on an optional canal tour in the company of an expert guide. Leaving Tortuguero behind, we’ll travel across the Costa Rican lowlands to La Fortuna and the Arenal Paraiso Hotel for two-night stay with views of majestic Arenal. After 40 years, the eruptions of this exceptionally active volcano have finally died down, but the region is blessed with hot springs and thermal baths, including those at Eco Termales that you’ll visit this evening. Learn about the secrets and history of chocolate production, from cacao pods to ceremonial drinks and confectionery bars, on a fascinating Rainforest Chocolate Tour. And, this afternoon, burn off any samples you may have indulged in on a gentle hike through the volcanic landscape to the El Silencio look-out point where you’ll be rewarded with spectacular views of the volcanic slopes. Today, we’ll head around Lake Arenal and make our way to into the cloud forests of Monteverde, where private conservation sites and reserves protect wildlife communities quite unlike those elsewhere in the country. Our base for two nights, the El Establo Hotel, boasts extensive hillside grounds and offers spectacular views across the forested hills and – on clear days – all the way to the Nicoya Gulf. Today we’ll follow the 1.9km trail over eight bridges through the lush rainforest canopy of Selvatura Park. Visit the Hummingbird Garden, and Butterfly Garden for a close encounter with these sparkling creatures, and perhaps dare to ride Selvatura Park’s 15 zip lines (the longest of which is one kilometre long!) through the cloud-forest canopy on an optional excursion. Today you’ll return to San Jose and head to the airport to board your flight home.